Hey guys, my inbox almost exploded thanks to this swanky soiree! You see my lovely friends, we have been invited to the Grand Galloping Gala courtesy of Little Miss Keila! In My Little Pony, this event is considered as one of the most anticipated events of the year. It’s their annual royal ball held to celebrate the completion of Canterlot after Equestria was founded. With a theme that is known for colorful rainbows, magic, cutie marks and friendship, I’m glad that they didn’t just stop right there. They took Keila’s party to a whole new cuteness level by adding the glamour of the Grand Galloping Gala. Now this is pretty exciting, right? Putting together a very OC mom plus the detail-savvy team of NY Giftworks, they made sure that every corner of Keila’s bash will pass PDM’s awesomeness meter with flying colors! 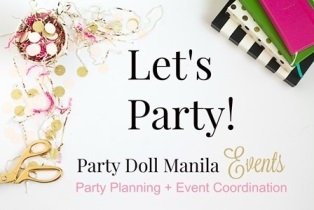 A party filled with rainbow-colored decorations, overly cute desserts plus fab details here and there, now this is what My Little Pony’s party is made of. Keila’s party made my heart do a somersault and a half! Thanks to the awesome photos of Rio Jones Photography, get ready to enter Keila’s Grand Galloping Gala! Keila sure knows how to invite her guests in style, check out her adorable invitation! It’s far more gorgeous than MLP’s golden ticket, right? At the entrance, Twilight Sparkle and Fluttershy were seen welcoming the guests. Coincidentally the favorite MLP characters of both my daughters, I bet they’ll fall in love with this party as soon as they spot these two. Colorful balloon clusters, paper lanterns, honeycomb lanterns and pompoms were used to instantly give the venue a bright and lively ambiance. They also injected some gold stars for a more whimsical feel. The stage design features the hall where the gala takes place to make sure that they perfectly tied-in the party with MLP’s version. To complete the look, all six ponies were present together with the cartoon/character representation of Keila. How cool is that? Even their table setup looks pretty rad! From the table-cloth to the centerpiece, it’s all about colors and details. I love, love, love the Keila’s plushies, it certainly gave the look its own personal brand of cuteness. In fact, we can see it all through-out the party! Oh, what a beauty! From the design to every sugary detail, Keila’s cake simply is stunning. It even got Keila’s character looking adorable and sitting perfectly at the very top. Before you scroll down, here’s a little warning – Extreme dessert cuteness ahead that may or may not cause sugar coma, proceed at you own risk. Teehee! Sugar cookies and Oreo pops cutie marks, My Little Pony’s cupcakes, cakepops and more cookies, holyshmoly! Keila’s sweet treats offering is not for the faint heart or high blood sugar! I’m a certified sugar junkie and this, this right here is my piece of heaven. All kids were handed with their very own food cart stubs. I like the whole presentation of those stubs, I think this deserves an A+ for creativity. Aside from those yummy food carts, they also got body tattoo station so they can have their very own cutie marks! They also prepared fun shows and games for everyone and judging by these photos, everyone had a blast! Aside from the MLP’s face masks, Keila’s friends also got these canisters filled with more goodies. Here’s the lovely Keila looking so chic in her Twilight Sparkle-inspired gala gown. thank you for the lovely feature… hope everyone enjoyed the gala!! ?